The 'right type of risk' can transform people's finances in a positive way, according to a new study. Few investors like taking risks with their money. The chance of losing your hard-earned cash is never an appealing prospect. However, the harsh reality is you need to embrace some risk to stand any prospect of making decent returns with interest rates being so low. When you consider inflation is around 3% at a time when the Bank of England’s Monetary Policy Committee has set the base rate at just 0.5%, the imbalance is clear. The right type of risk can also transform people’s lives in a positive way, according to a new study from Investec Click & Invest. The survey found almost half of investors could put more aside for a rainy day, 38% had made home improvements, while a third were able to buy a house earlier. It has also positively helped many of them with their financial situations, with 28% able to retire earlier and a quarter paying off long-term debts more quickly. 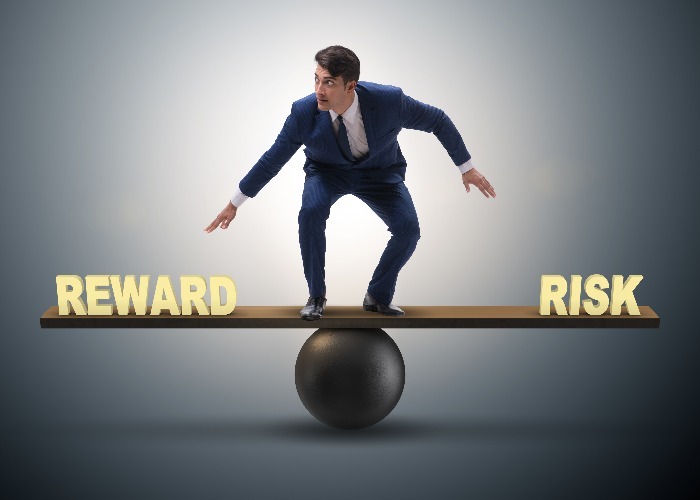 Jane Warren, chief executive officer at Investec Click & Invest, agreed risk-taking could be intimidating but insisted the study illustrated the potential benefits. “This is especially (the case) when it comes to achieving some of those key goals in life such as getting on the housing ladder and making provisions for the future,” she said. The key, she believes, is empowering people to make these decisions and begin improving their financial futures. “We believe more needs to be done to educate potential investors about the benefits of investing so that it doesn’t always feel like a giant leap and is an educated decision,” she said. It’s another point highlighted by the Investec study, which revealed confidence, knowledge and experience were the key barriers to taking risks. Of those that hadn’t invested, around a third would do so if they were more knowledgeable and 27% if they better understood the risks involved. Meanwhile, more than half (54%) simply believe that their savings are more secure in a savings account rather than investing it in the stock market. However, there is also the prospect of risk regret. When reviewing their life decisions, almost a third regretted taking too few risks, according to the survey. More than one in 10 people (12%) regret not investing in the stock market at all or not doing it earlier - and this figure rises to 15% of 18-34-year olds. Delaying retirement savings is also a key regret, with almost a fifth of 18- to 34-year-olds (18%) wishing they had started a pension earlier, while 18% of women have the same regret. While humans are naturally cautious, they are also curious and only grow through taking risks, according to psychologist Corinne Sweet. While the more introverted tend to be risk-averse, the more extroverted will generally be more adventurous. “Finding a balance, and branching out, even taking risks, is what keeps us alive and moving forward as a species,” she said. The key, of course, is taking enough risk to improve your chances of hitting financial goals, while at the same time not gambling everything you have saved on the stock market. Choosing the right investments depends on your financial goals, such as putting your children through university or helping them get on to the property ladder. It will also depend on how quickly your money is needed. For example, if you have a decade to earn a set amount you may be able to take more risk with your money. Of course, there are ways to help mitigate the risk being taken. One suggestion is to invest in stages rather than as a lump sum. Although you can’t eliminate risk from your investments – and nor should you because it is needed for the pursuit of decent longer-term gains – you can manage it better. The first way is through having exposure to a broad range of asset classes. This is known as diversification and involves investing in a variety of asset classes. The idea behind diversification is that any losses suffered in one asset class should be balanced out by gains made elsewhere. Investing at different times will also help reduce your timing risk and enable you to take advantage of any stock market falls. Another option – which takes this idea a step further – is investing regular amounts each month in a process known as pound cost averaging. Investors pay a set monthly figure to buy units of a fund – at whatever price they are available. Therefore, if you regularly invest £200 into the fund and have been buying units at £8 each, when they fall down to £6 you will get more units for your money.